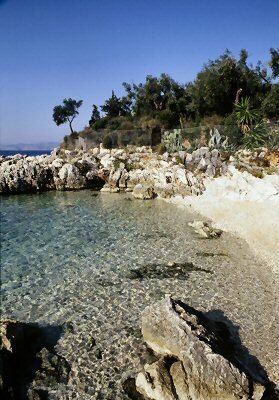 The shore along the Corfu coastline is simply beautiful. This beach is just 150m from Nissaki, and there are many others like it. The winning ingredients are a crystal clear sea, white pebbles and drenching sunshine.